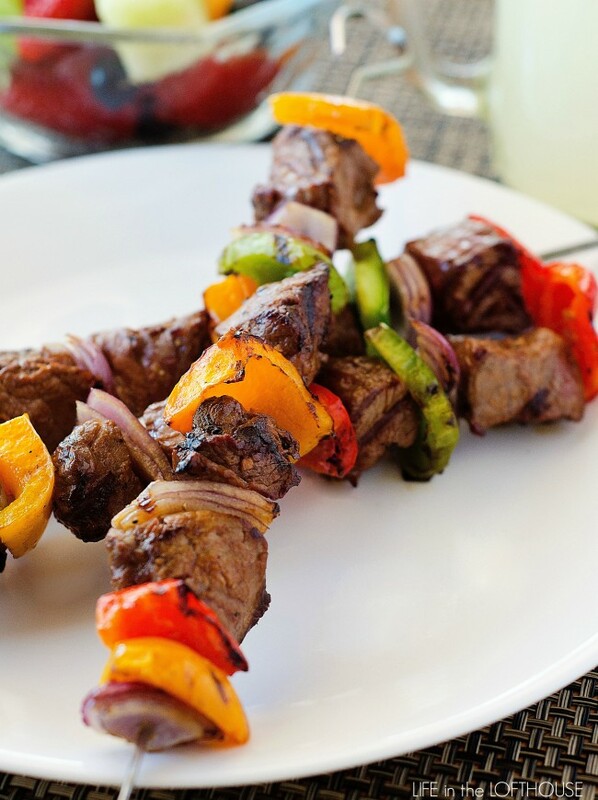 These Grilled Steak Kebabs are out of this world delicious. The marinade is simple and what makes these kebabs so amazing. Sometimes the best recipes are the simplest, and these kebabs are just that! 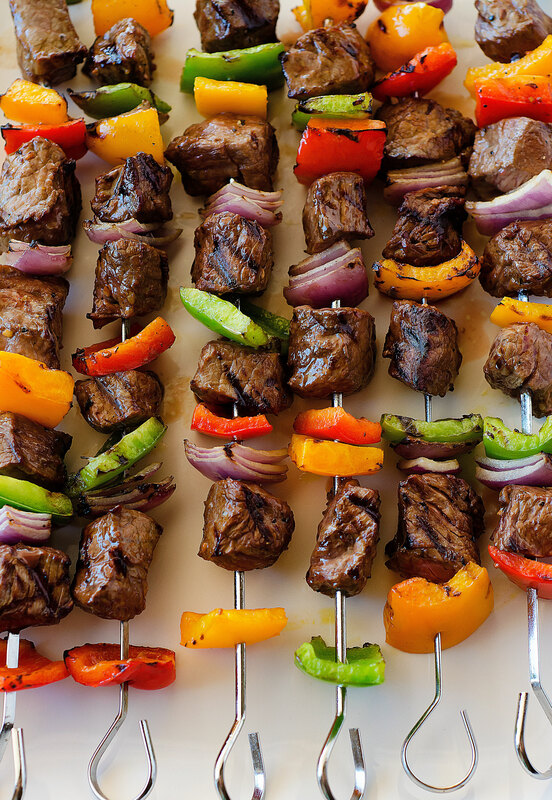 One of our favorite summer recipes are these Grilled Steak Kebabs. They are out of this world delicious. The marinade is super easy and what makes these kebabs so amazing. Sometimes the best recipes are the simplest, and these kebabs are just that. Of course, I headed over to Target Grocery to grab some supplies for our backyard cookout! Target Grocery Essentials is the perfect destination to pick up everything you need for backyard entertaining. I always know I’ll get great value in all my purchases. These Grilled Steak Kebabs were the first thing that popped in my head when deciding on what to make for our BBQ. 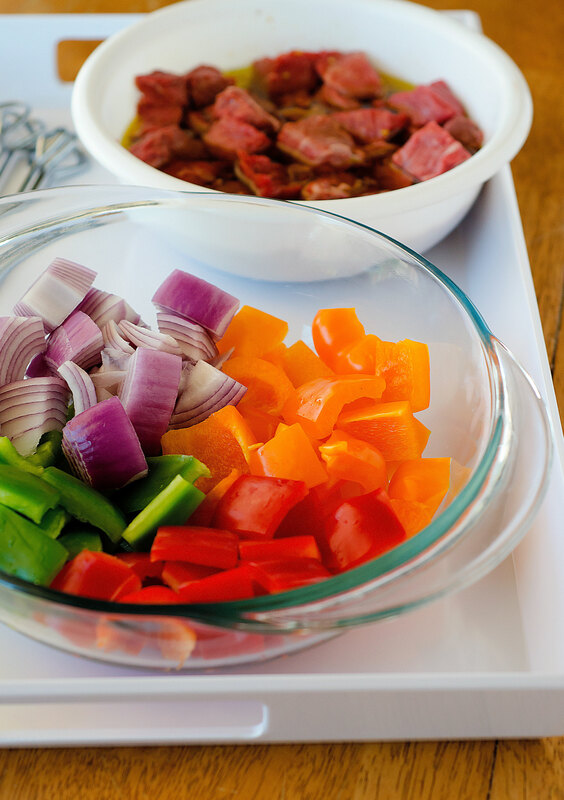 When I was at Target I grabbed a few bell peppers, red onion and sirloin steak for the kebabs. Over at their amazing Home section I picked up a few more things like these awesome metal skewers and this cute white serving tray. Target makes it easy to get everything I need all in one place! After the steak was finished marinating I loaded it onto the skewers with the veggies, and then popped them on the grill. Easy peasy! 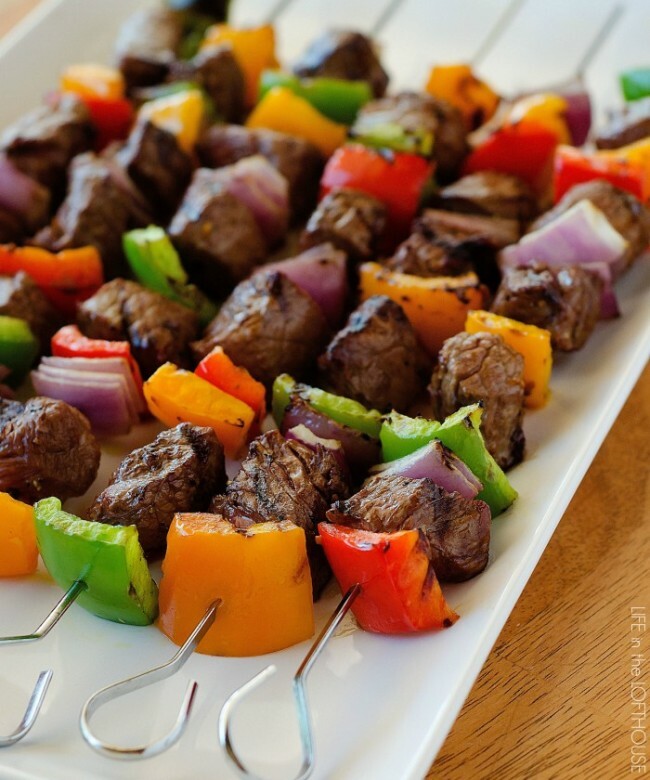 Delicious steak kebabs with bell pepper and red onion! In a medium bowl, whisk together olive oil, soy sauce, garlic and pepper. 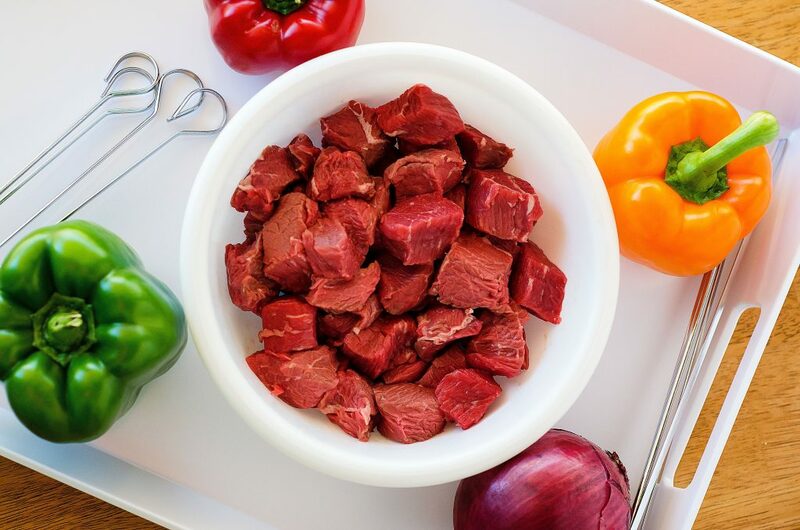 Add the cubed sirloin steak to marinade and toss to coat. Cover with plastic wrap and let marinate for 30 minutes or up to 1 hour. Once the meat has marinated, thread it onto the skewers alternating with pieces of bell pepper and red onion. These remind me so much of summer, and you nailed it. So great! These look so juicy and fabulous! I added button mushrooms and cherry tomatoes to the skewer, and served it with a platter of steamed rice. Great dinner. 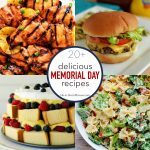 Made these today for a Memorial Day cookout, and they were delicious! 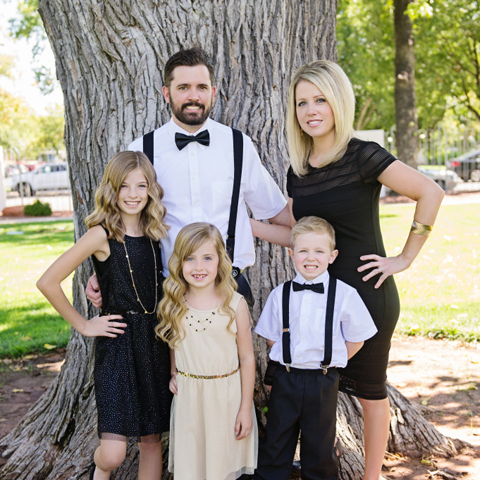 Everyone loved them! Thanks for sharing it. Found your site by way of Yummy. 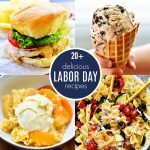 This recipe was featured. 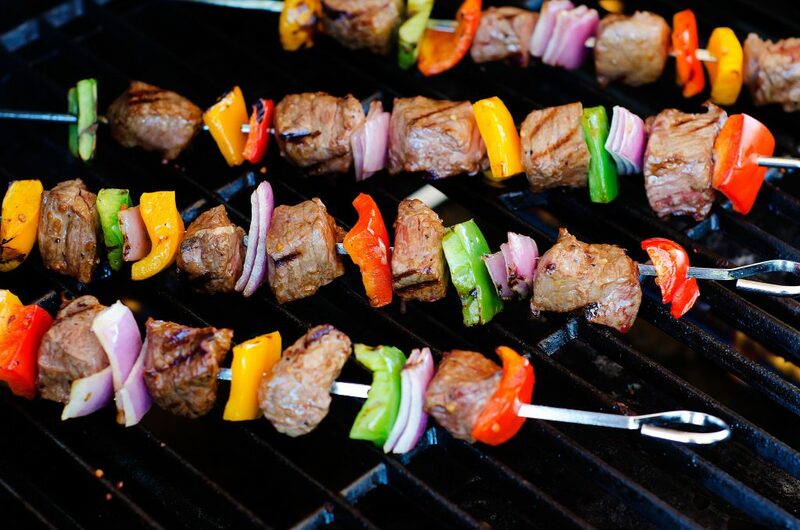 Question: What are your brushing on the kabobs while it’s on the grill. I didn’t see anything listed in the instructions. Is it some of the marinade? These are delicious with fresh pineapple included on the skewers. Yum! I made these tonight and they were delicious!!! Unfortunately I was only able to make 3 skewers. My son likes to use my skewers to make things . I did put the extra veggies in foil and poured the extra marinade over and cooked. The extra meet I put on the grill and it all turned out delicious. Thanks for the recipe. It’s a keeper. Made sirloin steak kabobs 7/2018. Excellently! USED zesty Italian dressing to marinade. Grilled meat and veggies separately because veggies take longer than the meat. Marinated sirloin steak cut in 2 inch pieces. 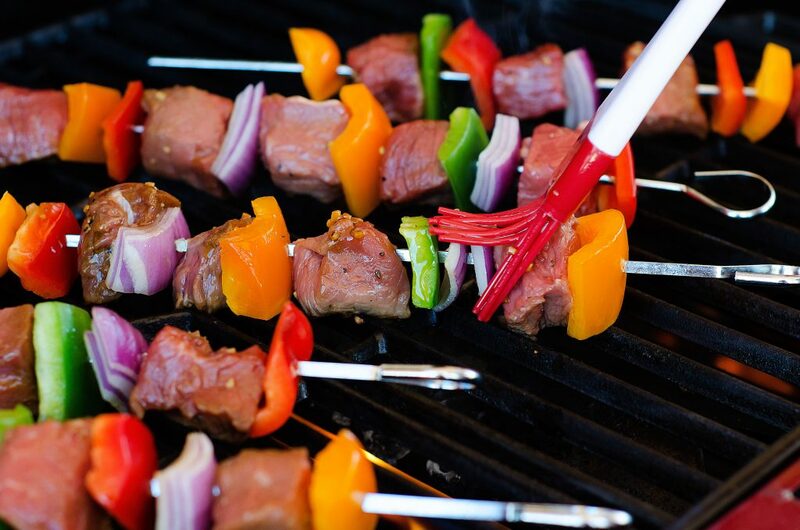 Place and grilled on skews. 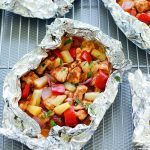 Place marinated veggies in aluminum pan and grilled.. 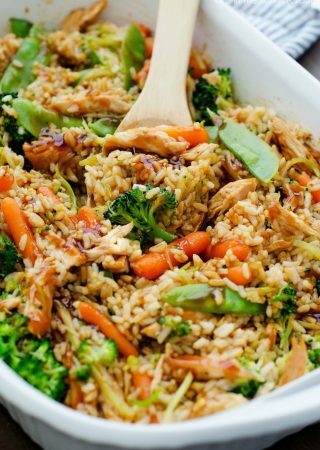 Excellent – meat is juicy and veggies are tender.